I doubt that I could improve on John Derbyshire’s review of the Baroque Cycle, Neal Stephenson’s “octology” of historical fiction. The Baroque Cycle is actually three big volumes: Quicksilver, The Confusion, and The System of the World, all published in 2003 and 2004. There are some well-respected American writers out there who have published bricks of comparable length and to whom Stephenson could conceivably be compared, if for nothing other than his ability to make readers turn pages, lots of pages. Don DeLillo, David Foster Wallace, and Thomas Pynchon have all produced acclaimed doorstops. But despite some pretty robust sales of the Baroque Cycle, or perhaps because of them – and Stephenson is not shy about discussing his sci-fi roots – the author enjoys a much lower profile than all of the above. I cannot review the Baroque Cycle until I’ve read it, and at this rate that could take years. I’m halfway through The Confusion and have begun to fall under that blessed curse of too many other titles and authors competing for my attention. And, as I said, I doubt that I could add much to Derbyshire’s review. Derbyshire does a particularly good job of explaining the rather complex themes and scientific antecedents that run through these books, which follow the lives of three principal characters through late 17th-early 18th century Europe and beyond. The Protestant Reformation and England’s Glorious Revolution, the contrasting subjugation of the French nobility by Louis XIV, the opening up of the Americas, the slave trade, advances in Europe’s mercantile economy and monetary systems, the development of higher math, The Calculus, cryptography, and encryption (precursor to information technology); all figure prominently in the Baroque Cycle. Historical figures from Sir Isaac Newton to The Sun King wander in and out of the narrative. The principals wander far and wide: Boston, London, Amsterdam, Paris, Algiers, and Cairo are just a few of the cities they pass through, and Stephenson captures the essence of each place with skillful description that tends toward the fantastic. Reading these books is like diving into a massive landscape painting, what one might have seen adorning the walls of Versailles at its apogee. Suddenly the small figures toiling away in the foreground take form, their presence no longer merely giving scale to a world of unfathomable expanse, but instead demonstrating the interconnectedness of people and ideas. Whether concerned with noble folly, bourgeois intrigue, picaresque adventure, or scientific missive, Stephenson’s touch is as light and easy as the torrential dialogue that flows between his characters. Breezy as his fiction writing may be, Neal Stephenson has a penchant for deep thoughts. He is a polymath, someone who comes across as very learned in a number of areas, and his books present a sort of unified field theory of human systems (and also come complete with bibliographies). But at heart, Stephenson is a science fiction writer, two of his previous books, Snow Crash and Cryptonomicon, fitting more obviously into that genre. The latter deals in part with cryptography and code breaking in WWII, and is a sort of primer for the Baroque Cycle despite being set hundreds of years later. That the Baroque Cycle is set in the past obscures what would otherwise be a fairly obvious connection to sci-fi. Call it historical science fiction. Indeed, before I did a bit of research into Stephenson, having read only Quicksilver, this connection was lost on me. But I find this aspect of Stephenson’s writing appealing: ultimately metaphysics is more important than mere physics. Why is more important than how. Is it not impossible to answer the question why without moving from a discussion of hard science to a discussion of something more ineffable? The last piece to the Neal Stephenson puzzle that I’m attempting to assemble here is his website. It’s a good site because it’s a place where someone can read cranky musings by the author on why in the world people wish to seek him out and the innumerable ways in which his work is misunderstood, and also purchase some pretty cool Baroque Cycle t-shirts. One can only smile at the introductory salvo: “The existence of this page: narcissism or necessity?” While Stephenson would have you believe that it’s the latter only, the true answer would seem to be a bit of both. Yet, like his books, Stephenson’s website is both interesting and informative (and, not surprisingly for a man with some geekish tendencies, rather well put together). And isn’t some didactic crankiness refreshing in a world where so many of us are content to tiptoe through the tulips? My favorite portion of the site is where Stephenson equates his personal notoriety to that of the mayor of Des Moines. Hmm. One thing is certain: of the two, Stephenson has sold more books. This is so cool. Thanks for shining the light on writers like this. 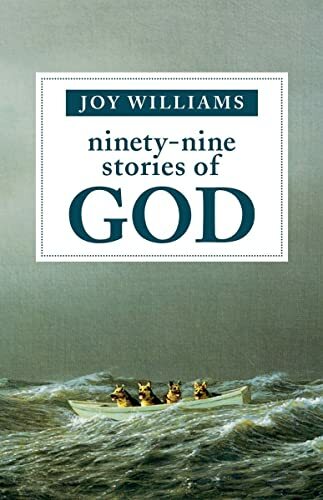 “He liked his slot…” Joy Williams sounds like a riot, and another welcome, transgressive lunge for me away from books where writing about God depends on terms like ‘genus apotelesmaticum’. Words simply don’t do justice to any memory, argument, or work of fiction concocted in the mind. Language is an inadequate but necessary solution for addressing our disparate versions of reality.